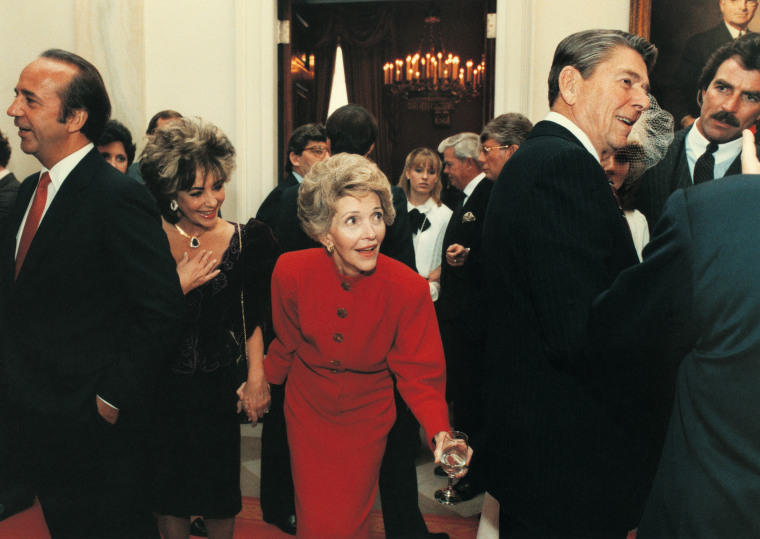 White House Chief Photographer Pete Souza documented the Ronald Reagan's presidency from 1983 to 1989. 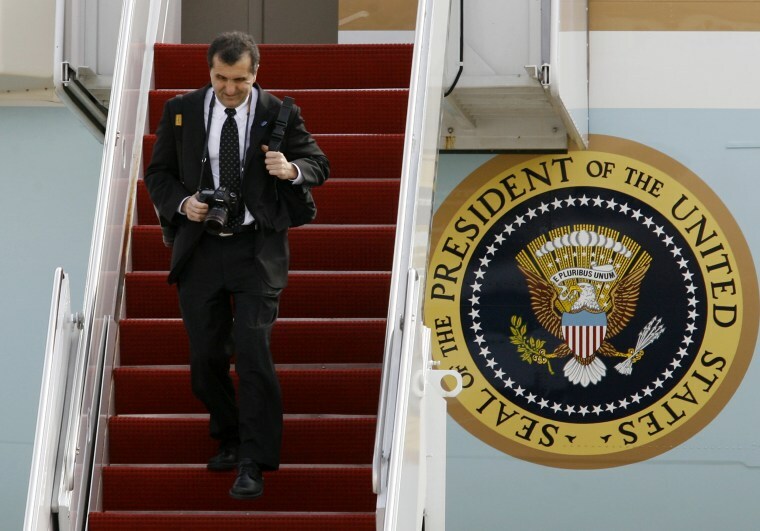 Chief White House photographer Pete Souza walks down the stairs from Air Force One prior the arrival of Presiden Barack Obama at Andrews Air Force Base in Maryland, on Feb. 27, 2009. 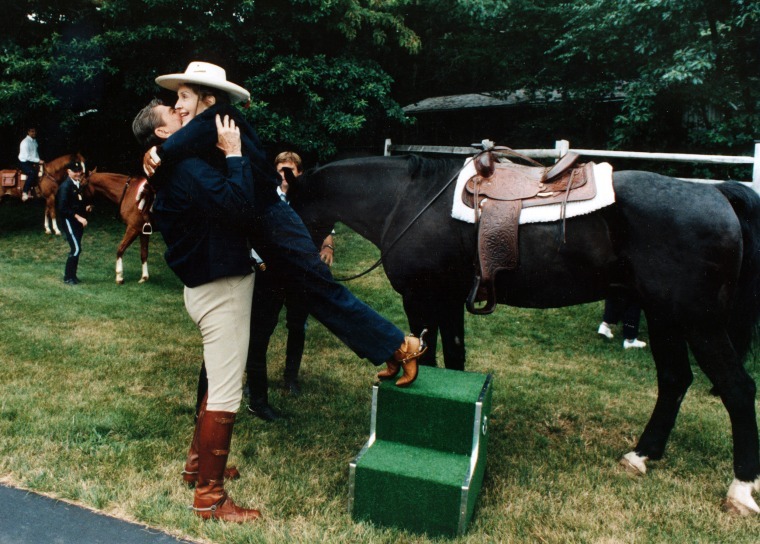 Souza was also the official White House photographer from 1983 to 1989 during Ronald Reagan's presidency. 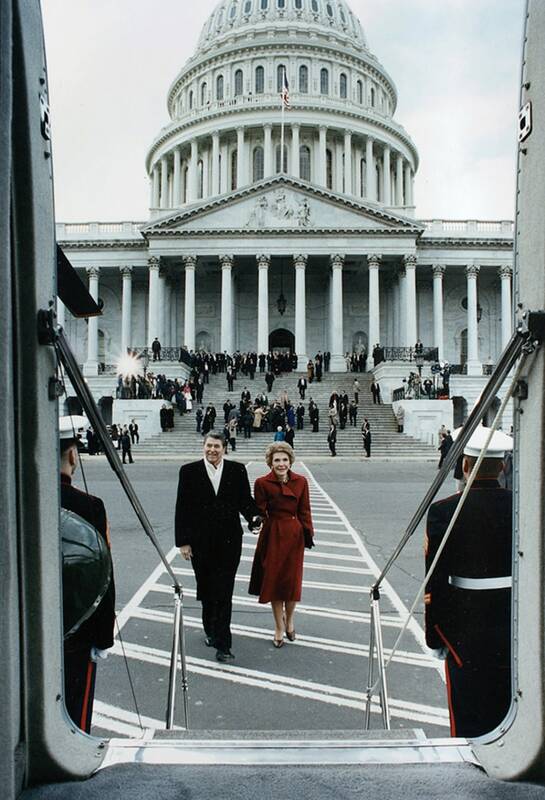 Ronald and Nancy Reagan in Washington D.C.
Nancy and Ronald Reagan in the Oval Office of the White House. 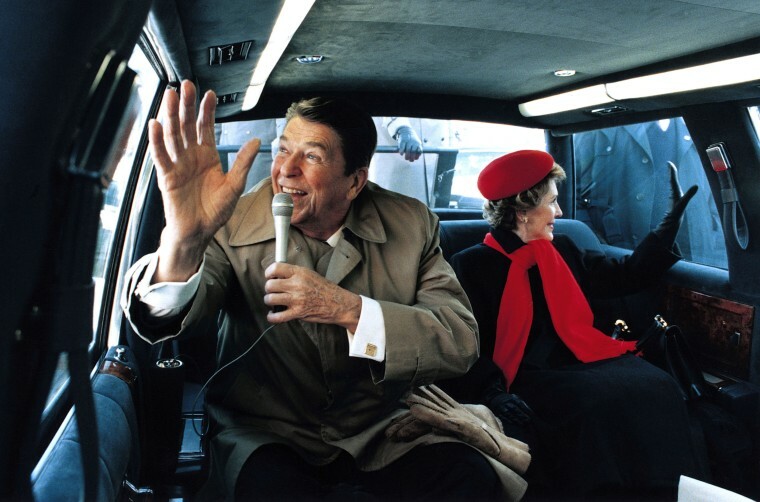 The Reagans wave to well-wishers in his hometown of Dixon, Illinois in February 1984. 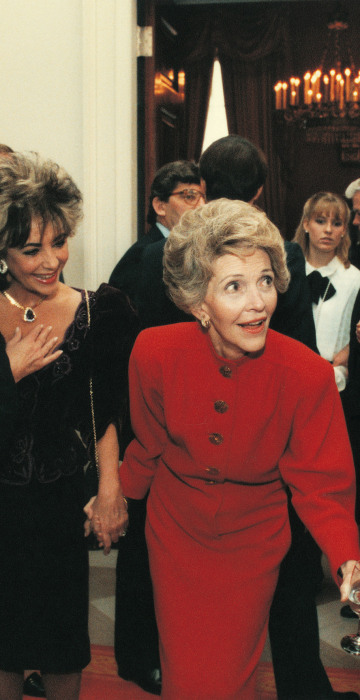 Nancy Reagan tugs on Ronald's coat as he talks with Tom Selleck with Elizabeth Taylor in tow on Jan. 20, 1985. 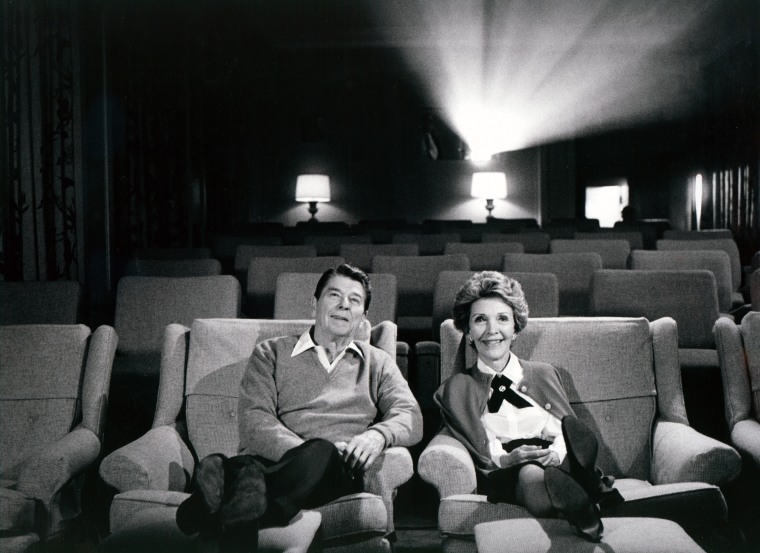 The Reagans sit in a cozy 44 seat screening room at the White House. 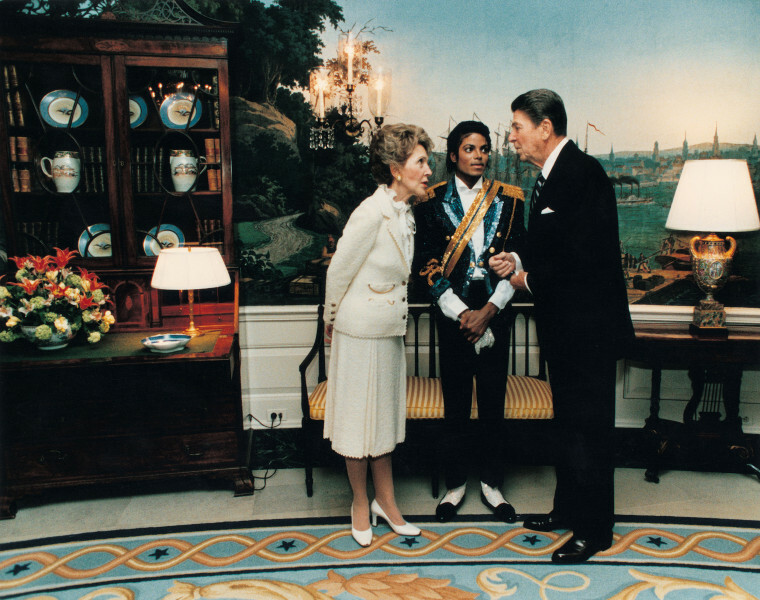 Nancy and Ronald Reagan with Michael Jackson in 1984. 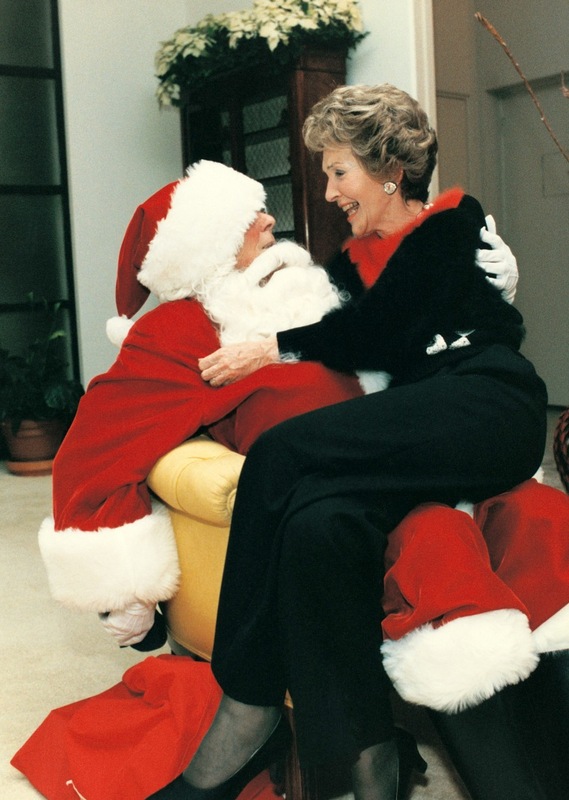 Nancy Reagan talks with Santa also known as her husband, Ronald. 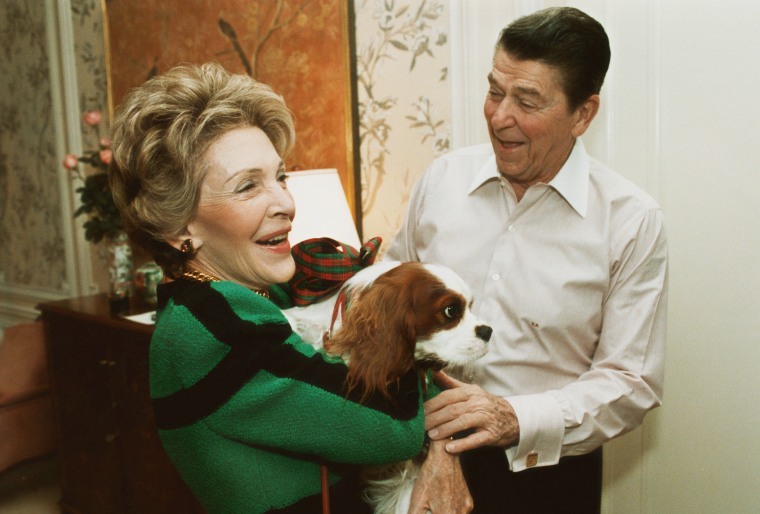 Ronald Reagan presents First Lady, Nancy Reagan, with an early Christmas present of a king charles spaniel named Rex on Dec. 6, 1985. 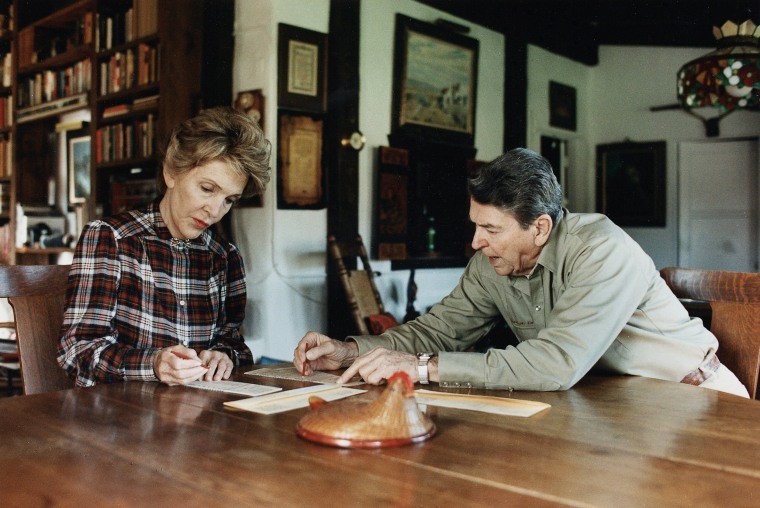 Ronald and Nancy Reagan at Camp David in 1985. 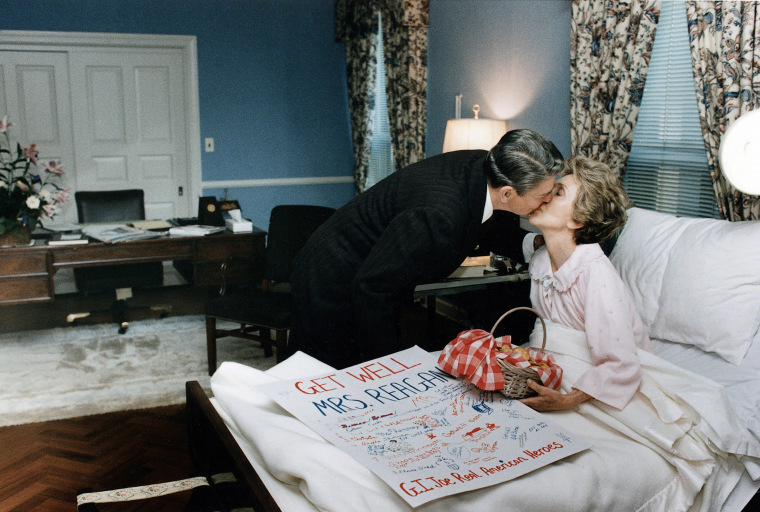 Ronald Reagan greets Nancy at the Bethesda Naval Hospital after her surgery for breast cancer in October, 1987. 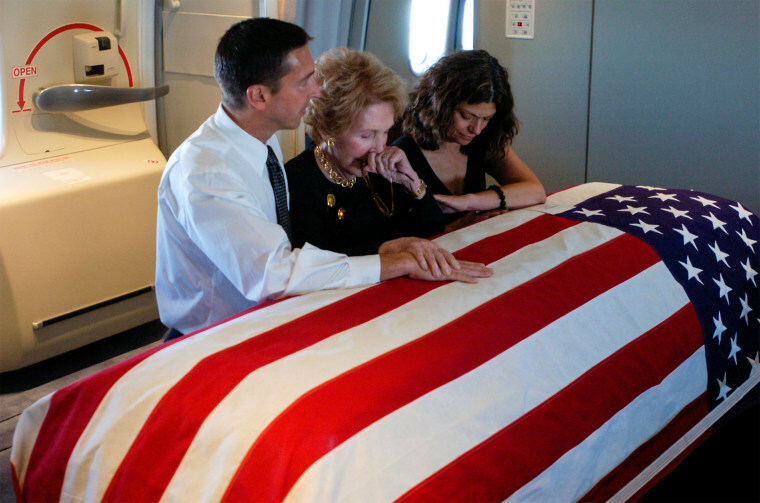 Nancy Reagan and her son Ron and his wife Doria at Ronald's coffin. 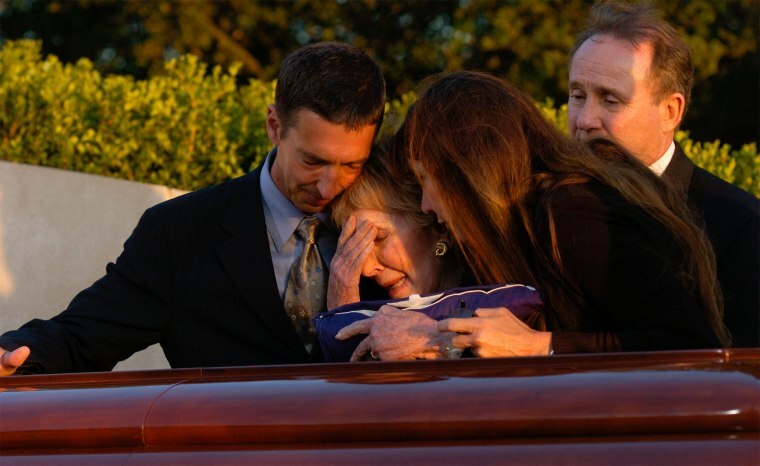 Nancy Reagan is joined by son Ron Reagan, left, son Michael Reagan, back right, and daughter Patti Davis as she cries over the coffin bearing her husband Ronald Reagan during interment ceremonies for the former president at the Ronald Reagan Presidential Library in Simi Valley, Calif., June 11, 2004. 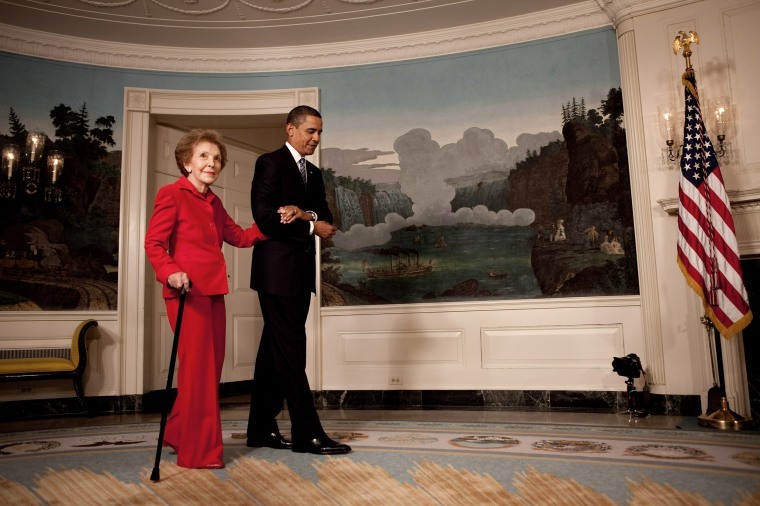 President Barack Obama escorts former First Lady Nancy Reagan in the Diplomatic Room of the White House on June 2, 2009. 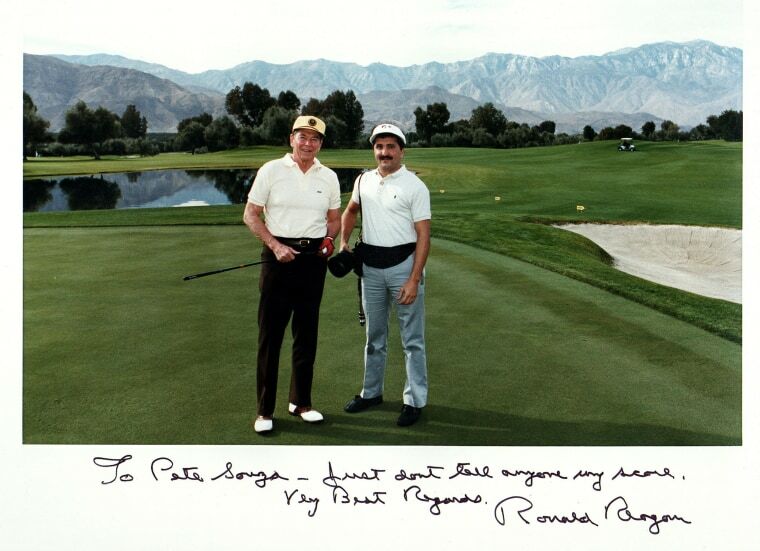 President Ronald Reagan and Official White House Photographer Pete Souza on the Annenberg golf course outside of Palm Springs, Calif.